I’ve been working on a knowledge app in FileMaker Pro and Go lately. I keep track of interesting and favorite people, places and things there. My favorite part is collecting interesting people. People like Thomas Jefferson, Jony Ive, or someone in the news. Whoever I am interested in. 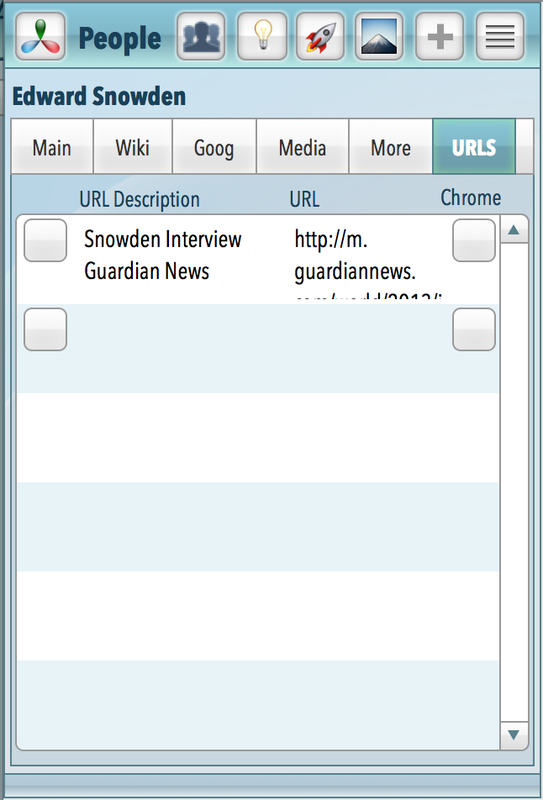 I read about Edward Snowden today and thought he would be a good person to learn more about so I added him to my app. I also track URLs that relate to those people, places and things as I find particularly good ones. Today I had trouble opening a couple URLs I found using the Open URL command in FileMaker Go. I thought it might be because the URLs were a little unusual. One URL had an asp extension. When I had another URL not work, I started thinking. I suspected that Safari or Chrome would open them. It’s actually hard to find the iOS URL scheme to make Safari open a URL in FileMaker. I bet I can find one, but meantime, I knew Chrome has documentation on their URL scheme since they want apps to use Chrome on iOS. So, I Googled to find the information and it was a little spotty but I was able to piece it together after a few tries. This won’t work on Mac/PC with Filemaker Pro – but there may be a different way for that. Install this button or put this in a script meant for FileMaker Go use. Create a preference that says, “I want to use Chrome to open URLs” instead of FileMaker’s browser. All right. This is the kind of tip I love best. Short, sweet and something I can use in lots of places. That’s why it was worth spending some time a Peet’s on Father’s Day to figure it out. Probably my favorite two areas of development these days are interapplication communication and taking advantage of the plethora of good stuff on the web in some way. This tip does both! This entry was posted in FileMaker 12, FileMaker GO, FileMaker Tips, iOS Apps on June 16, 2013 by janet.